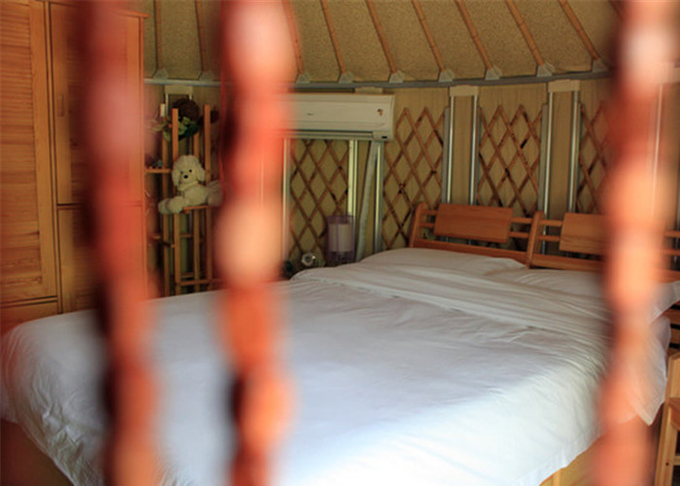 31 square meters yurt is 6.23m in diameter. It’s for 3-4 people lodging in this yurt. The main frame is aluminum and bamboo. After high temperature treatment, the frame can be used over 15 years. The cover is made of 4 layers of fabric: outer pvc layer, waterproof layer, insulation layer and inner decorative layer. Multi-layer insulation fabric can be provided in very cold area. The outer pvc fabric can be cleaned by water or replaced. Other parts includes one wooden door, one glass windows and ventilation system. Installation video can be provided. Windows: More windows can be added. 1. 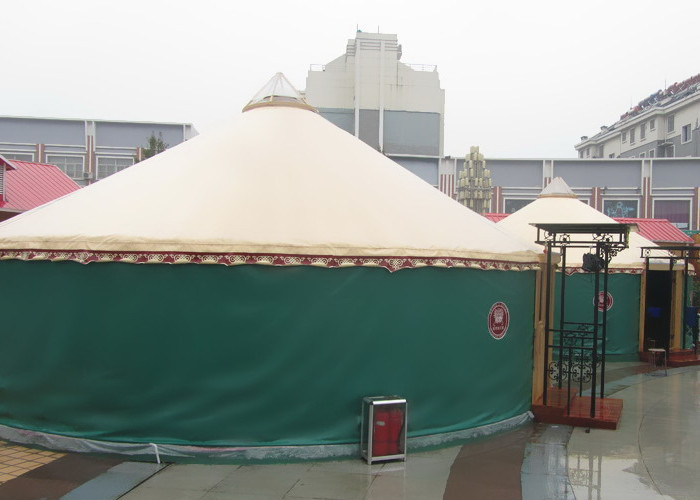 The application of ventilation system make the yurt air circulation. 2. Long life span of the frame. 3. Different color choice for outer pvc. 4. The fabric is well sealed at the bottom to prevent from insects. 5. Warm in winter and cool in summer because of the thick insulation fabric.